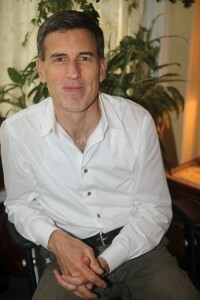 Steven is a passionate and engaged relationship therapist, whose work has been grounded by his study of mindfulness, neuroscience and attachment. He brings his warm presence, his immense curiosity and his humor to couples work. Prior to graduate school, he was an enthusiastic student of mindfulness and practiced with Jack Kornfield and others at IMS in Barre Mass. He earned his Masters in Social Work (MSW) from Boston University in 1990. After working for a dozen years in special education and community mental health, he began specializing in relationship counseling as he became certified in Imago Relationship Therapy in 2003. He is a dedicated husband, an avid swimmer & musician and an adoptive parent. He currently offers both weekly therapy sessions & couples intensives.